The new, larger version of the 747 (above) made its maiden flight March 20, 2011. The plane will compete with the Airbus A380 as one of the largest commercial aircraft in the world. It is approximately 12 ft longer than the Airbus making this aircraft the longest in the world (the 747-800 is 250.2 ft. long versus the Airbus which is 238.6 ft). 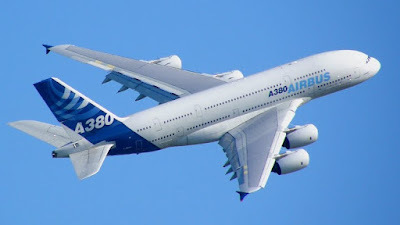 The Airbus A380 (shown in the photograph above) is currently the world's largest aircraft, with a capacity to carry 525 individuals in a 3-class configuraion (the 747-800 will hold 467 in the a 3-class configuration). The principal difference between the two airplanes is the upper deck. The A380 upper deck runs the full extent of the aircraft's fuselage as opposed to the 747-800 which runs about halfway. There are currently 42 A380's in operation throughout the world, with an additional 200 aircraft on order. For a comparison of the two aircrafts, the Boeing 747-800 and the Airbus A380, see this CNN article at http://www.cnngo.com/explorations/life/boeing-747-8-and-airbus-a380-death-match-152563. 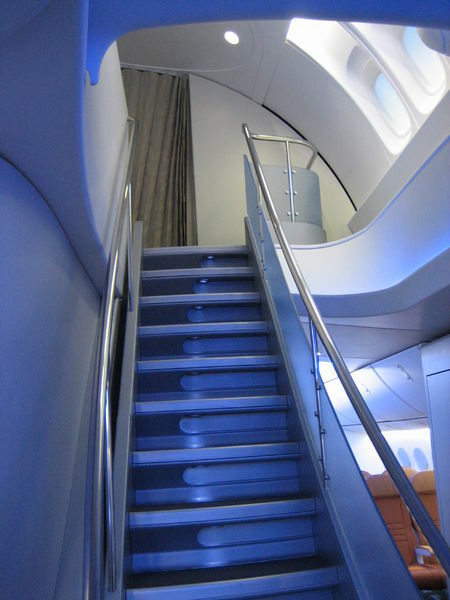 You can read more about the aircraft's enhanced passenger features at http://www.seattlepi.com/business/251973_air14.html. In addition to passenger comfort and technological efficiencies, this new aircraft will be "greener" with enhanced fuel and other cost efficiencies and noise reduction. It is a beauty, no? This new aircraft escalates the fierce competition between the two double-decker aircrafts the 747 and the A380. At one point, the US Air Force considered both aircraft to replace the Air Force One 747-200s that comprise the aging presidential fleet. 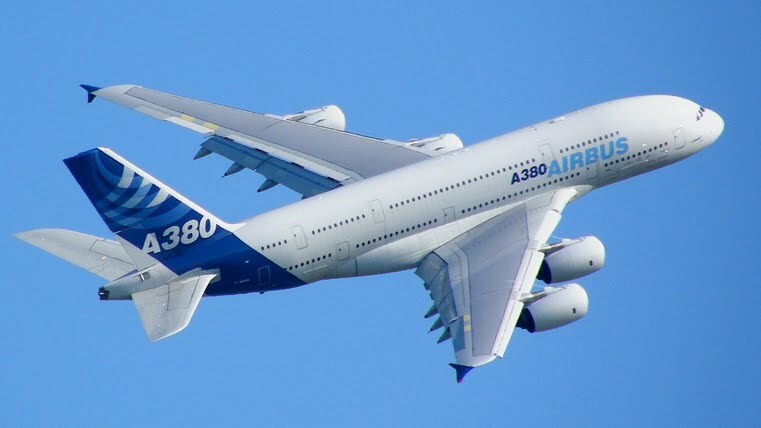 EADS the manufacturer of the A380 has elected not to bid for the project which leaves the 747-800 and the 787 Dreamliner as final competitors for the project which may end up including both aircraft. Boeing has currently received 33 orders for the 747-800 Intercontinental which, upon completion of its flight testing and certification, is expected to first be delivered at the end of 2011. Boeing also sells a Freighter version of the aircraft and has 74 current orders. Fore more information about the Boeing 747-800 you can visit Boeing's website at http://www.boeing.com/commercial/747family/747-8_facts.html. See a video of the maiden flight at http://www.cnngo.com/explorations/life/video-boeing-747-8-intercontinental-makes-its-first-flight-804065.